Senior Leah Reeves keeps a sharp focus on defense. 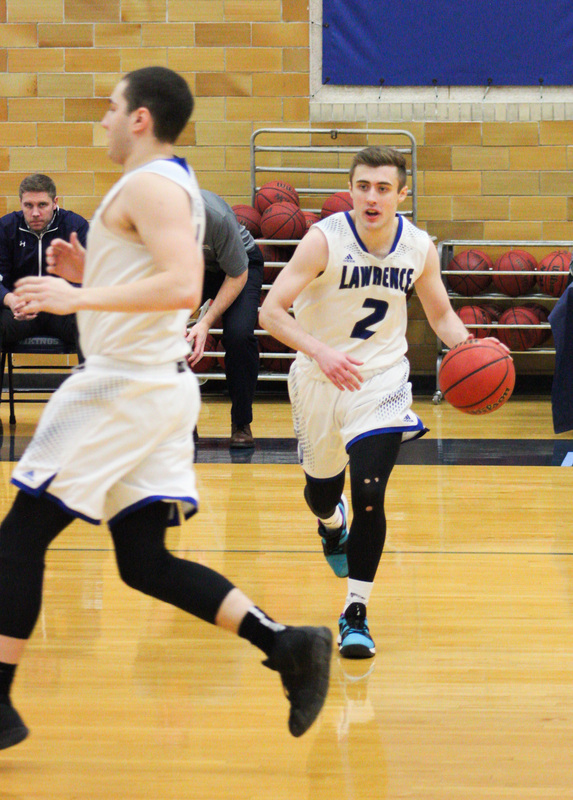 Over this past weekend, our Lawrence University Vikings took on one of our rival Wisconsin teams in our conference, Beloit College. This weekend they were on our home turf, giving us a chance to defend our school’s pride, spirit and values. The men’s basketball team had a pretty successful turnout as they stayed neck and neck during the first half. The Vikings were only trailing by three points, 35-32. In the second half, the Vikings kicked into high gear and scored seven more points in the second half than in the first. The end result was the Vikings winning 71 to 64. Junior Quinn Fisher plays point directing his team towards success. Reading up on your opposing team is a very common and smart strategy in sports. There are two kinds of preparation: the physical side and the mental side. Not only do you have to prepare yourself but prepare for your opponents as well. One way in which teams do this is by learning as much as they can about the other team. This includes, but is not limited to, analyzing their formation or learning who the best players are and preparing for them. 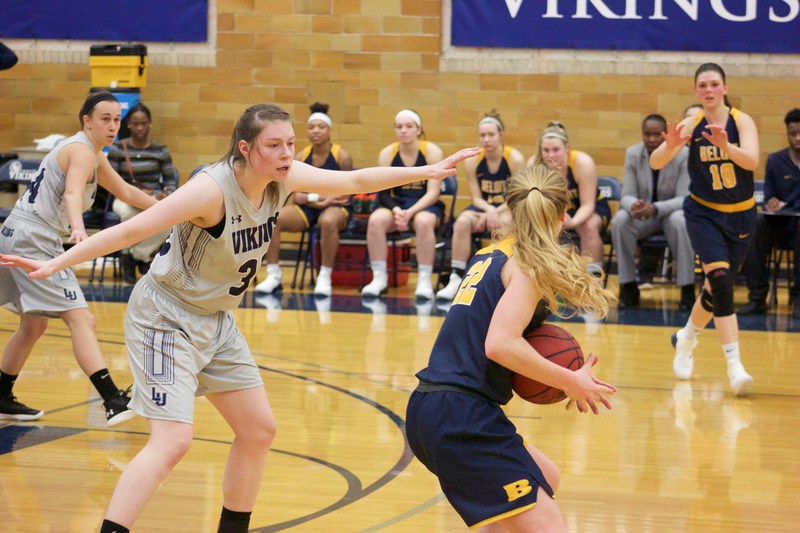 The women’s basketball team was off again to a rocky start in the first half, trailing Beloit 23 to 35. Unfortunately, the women’s team was not able to pull out a win, but their determination never wavered, even in the last final minutes of the game. The pressure was high and the momentum carried throughout the game until the buzzer sounded. Finally, I asked her why she plays basketball. She said, “I absolutely love the game of basketball. I have been dribbling a ball as long as I could walk. My parents both played basketball and it has always been a part of my life. I couldn’t imagine my life without basketball.” As an athlete you both play and breathe your sport in order to be successful, unless of course you’re a swimmer!